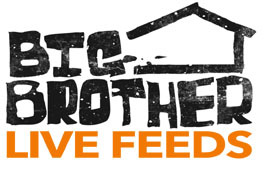 Tonight on Big Brother 14 we have a LIVE eviction and a new Head of Household will be crowned. Stay tuned for updates (below). After the conclusion of tonight’s eviction, you’ll want to check out the 24/7 live feeds to catch all of the post-eviction drama. Be sure to take advantage of the 3-day free trial of the live feeds. Start your free trial tonight or check out the perks of signing up, including free iPhone and Android viewing. Lastly, be sure to follow @wlbb on Twitter for breaking Big Brother news. After the live episode, Frank became the new Head of Household. Ashely is evicted by a vote of 5-1. Dan, Danielle, Britney, Shane, and Jenn vote to evict Ashley. Frank votes to evict Joe. Joe is the replacement nominee. Frank uses the Power of Veto to save himself. Frank won the Power of Veto. Head of Household Ian nominated Frank and Ashley. Ian wins the first Head of Household after a tiebreaker question with Danielle. Mike Boogie is evicted by a vote of 5-2. Danielle, Ian, Dan, Joe, and Britney vote to evict Mike Boogie. Frank and Ashely vote to evict Jenn. Tonight’s second evictee will be the first member of the jury. Houseguests are informed tonight is a double eviction.